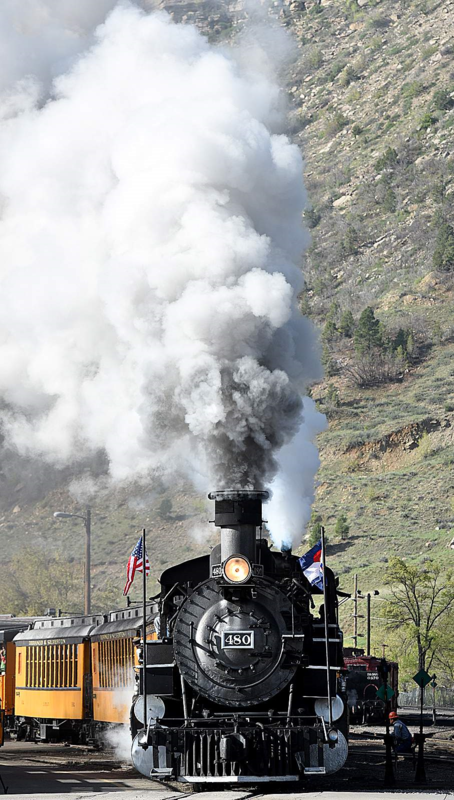 The Travel Channel is coming to Durango on Sunday, and it’s looking for extras to take part in a reenactment of one of infamous outlaw Butch Cassidy’s more famous train robberies. According to Stephani Burditt, office manager for Region 9 Economic Development of Southwest Colorado, the Travel Channel is shooting around the Southwest this week, also making stops in Cortez, Telluride and Moab. On Sunday, the Travel Channel needs extras for a one-day reenactment of the 1899 Wilcox Train Robbery, which took place near Wilcox, Wyoming, about a 100 miles northwest of Cheyenne. According to historical reports, a Union Pacific train was flagged down in the early morning hours as it was about to cross a wooden bridge. There, a group of masked bandits associated with the Butch Cassidy Gang awaited. It’s estimated the robbers took off with $50,000 worth of cash, unsigned bank notes and gold. Though Butch Cassidy is considered the mastermind behind the robbery, it’s unlikely he was there the day the train was robbed, as he was released from jail a few years earlier on the condition he would no longer take part in crimes in Wyoming. The reenactment will be shot at the Durango Train Depot, among other spots in the area. Two to four female actresses. Actors with their own period-appropriate costumes are highly appreciated but not required.